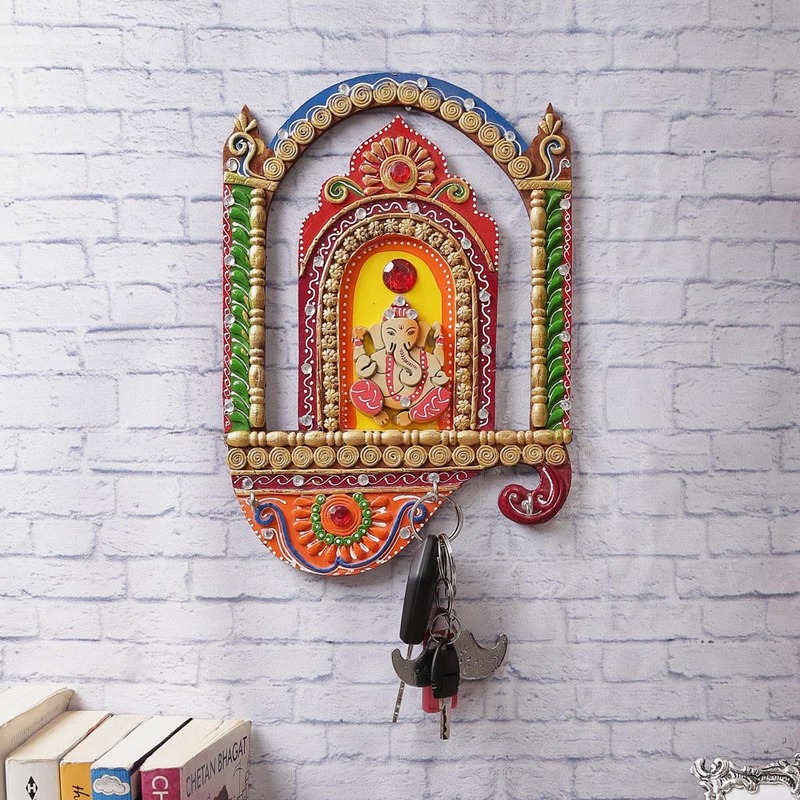 If you have an affinity of various kinds of key holders, then the Kundun lord Ganesha key holder is one of the best innovative decorative. 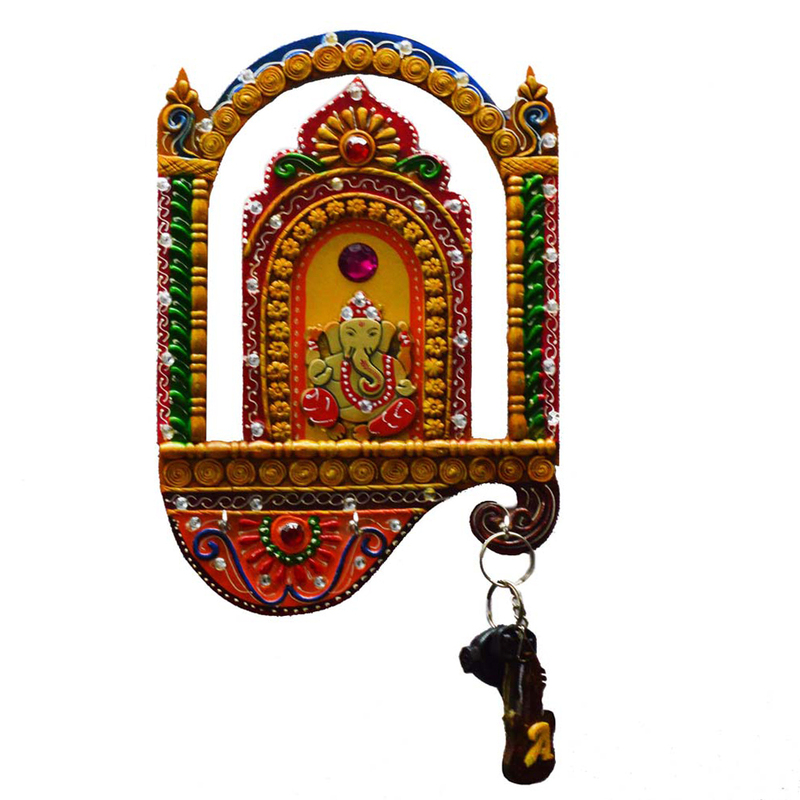 Read More..Place your keys on this key holder under the watchful eyes of lord Ganesha who is sitting cross legged. The keyholder has been perfectly designed to hold your keys and this can be hung at any place of your home including your living room or your porch. 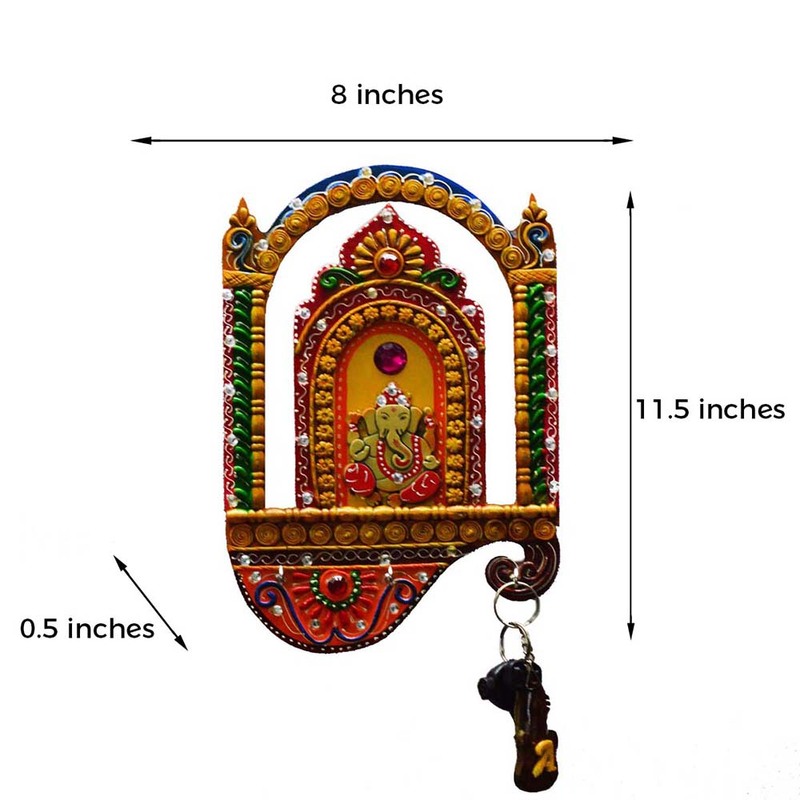 This key holder also serves as a great gift for your friends and relatives and would help to keep your home pious and secured. The key holder has been diligently crafted by various traditional techniques. Show Less..